The best time to visit Nashville is late spring or early fall. The temperature is usually in the low 70s around this time of the year, which is perfect for walking around and exploring the city. There’s no better place to start absorbing Nashville’s musical heritage than the Ryman Auditorium. Recent visitors suggest opting for a tour to get a behind-the-scenes glimpse of the legendary music venue. If you are most excited about the music in Nashville, DoubleTree by Hilton Hotel Nashville Downtown includes Swank’s Martini and Wine Bar, a casual watering hole that serves adult beverages, and entertains patrons with live music on a nightly basis. The hotel is also within walking distance to Puckett’s Grocery & Restaurant, and a former country store turned casual restaurant and music venue. Another option is Hyatt Place Nashville/Opryland which is less than five minutes from the famed Grand Ole Opry, one of the most preeminent country music venues in the world. Being the artistic city that it is, Nashville offers visitors plenty of things to see and do. Historical sites, museums, art galleries, and prominent music venues contribute to Nashville’s charm. Some of Nashville’s must-see sights are the Grand Ole Opry, the Country Music Hall of Fame, the Johnny Cash Museum, and the refurbished Musicians Hall of Fame. In addition to the various historical sights, Nashville has some of the best restaurants around. Drawing on Tennessee flavors, chefs offer fun, and increasingly farm-fresh takes on southern dishes. One of the best parts of Nashville is the endless supply of live music. From lesser-known music venues to larger scale ones such as the Ryman Auditorium, you can catch local, regional and national musicians on almost every stage in the city. Spring is the best time to visit Charleston because of its colorful azaleas, dogwoods, and other flowers that bloom between March and June. The average temperature is about 76°, which is ideal for exploring the quaint city. 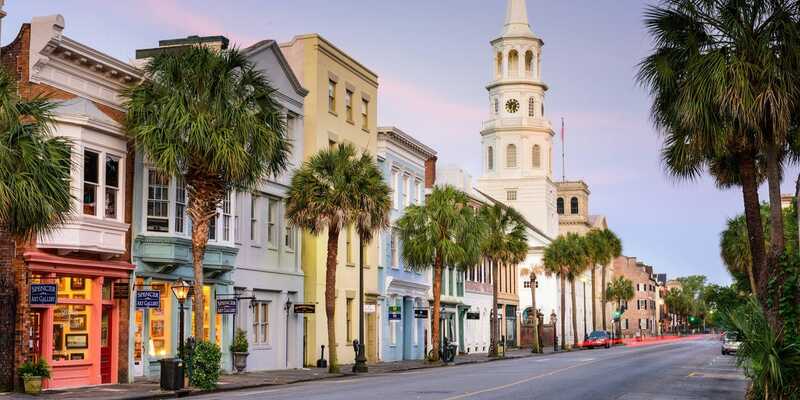 With its centuries-old mansion and cobblestone streets, Charleston is like a living museum. One of the best ways to learn about its history (and its ghosts) and the significance of its best-known landmarks is on a walking tour. There are a variety of options available, ranging from broad tours of the city’s historic downtown district to more niche tours that explore the city’s paranormal presence, pirates and art galleries and studios. The city is small and the very picture of Southern hospitality, but with cosmopolitan restaurants and beautiful beaches a short drive away. Charleston is home to some of the best dining in South Carolina. Whether you’re looking for premier seafood with a beautiful view, American cuisine, or Mexican cantina, you won’t be disappointed with the wide selection of restaurants in this city. There is plenty of history to explore in Charleston. The city is a well-preserved living museum, one of the nation’s most outstanding examples. You can explore three hundred years of American history everywhere you turn. 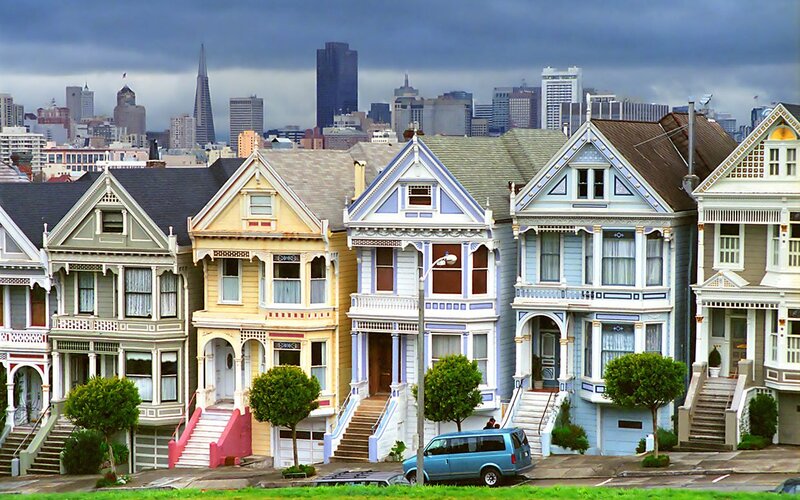 The best time to visit San Francisco is from September to November. Fall offers some of the city’s warmest temperatures year-round, not to mention fewer crowds than summer. Spring is another good time to visit thanks to its mild temperatures and lack of rain. For all the foodies out there, visiting Ferry Building Marketplace is a must. The Ferry Building Marketplace is a people’s marketplace serving residents and travelers alike. Located in the historic Ferry Building at the foot of Market Street, shops large and small celebrate food in all its forms, offering everything from artisan cheeses to the freshest of local fish. Restaurants and cafés serve cuisine representing the quality and cultural diversity of San Francisco’s best chefs. Located at the top of Nob Hill is the San Francisco landmark InterContinental Mark Hopkins with a breathtakingly beautiful façade. Expect old-world luxury inside. This central location to Chinatown, Union Square, Russian Hill, and Pacific Heights is iconic to San Francisco. Imagine charming townhouses perched on hilltops. The best time to visit New Orleans is from February to May when the weather is comfortably cool, and the celebrations are in full swing. If you’re not interested in Mardi Gras mania, plan to visit in December or January, when the city is calm, and you don’t have to worry about making hotel reservations a year in advance. If you want an authentic New Orleans experience more removed from the touristy areas of Bourbon Street and the French Quarter, head to the lively Frenchmen Street. A favorite spot for locals, Frenchmen Street, is a four-block stretch of live music, bars, restaurants, and art galleries. Here, not only will you find fewer crowds, but you’ll also encounter cheaper eats and drinks, and better music. Visitors looking for an inn near Jackson Square and those who like to explore: Walk to the free ferry across the Mississippi River to the Algiers Point neighborhood. Bienville House sits in the heart of the French Quarter so that you can forget taxis. Dining in New Orleans is a one-of-a-kind-experience that rivals no other American city. The cuisine melds different cultures including Creole, Cajun, and French-influenced Southern specialties and now incorporates emerging additions like Israeli food. One of the best famous locations of New Orleans is the French Quarter – a fascinating district near downtown that is home to several beautiful colonial buildings, excellent restaurants, quirky boutiques, and lots of souvenir shops. A visit to New Orleans wouldn’t be complete without strolling through the French Market, seeing the St. Louis Cathedral, having some world-famous beignets at Café Du Monde, and passing by some of the area’s historic buildings: French Opera House, Jackson Square, Hermann-Grima House, and the Cabildo House.